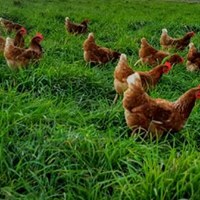 Cut through the confusion at the grocery store- Eggs raised at Blue Yonder Organic Farm are USDA certified organic and raised 100% outdoors on lush green pastures supplemented with organic grains. 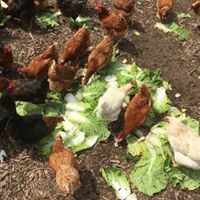 In fact, all of our hens hang out with the cows, sheep, ducks, and livestock guardian dogs, which help to round out the perfect nutritional balance. 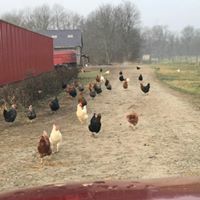 They are always fresh, always delicious! Crack one open and discover the deep beautiful orange yolk and fluffy egg white that set these eggs apart.